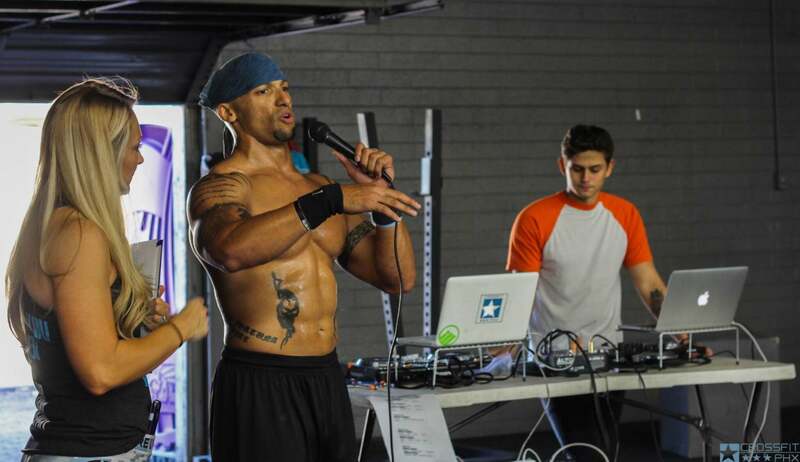 The CrossFit PHX Community has taken on a new challenge...fighting oral cancer! SCOTTSDALE, Ariz. - Dec. 2, 2016 - PRLog -- For the fourth year in a row on November 19, CrossFit PHX held their annual WOD 4 Trent fundraiser to raise money and awareness for the Oral Cancer Foundation. The cause holds a personal significance for gym owner, Mycal "Coach Derz" Anders who lost his good friend Trent White to oral cancer in 2012. Derz and Trent met while playing football at the Air Force Academy. After 2 years of playing together, the two became good friends and kept in contact while Coach Derz was in the Marines. In fact, Trent was the man who introduced Coach to CrossFit at CrossFit Buffalo in New York after returning from Afghanistan. Together, they participated in a Tribute Workout for a member of their community who served in the Army and did not make it home from his deployment. When asked about Trent White, Coach Derz responded with this: "As a football player and teammate, Trent was one of the crazy ones. He lived life fearlessly, and never shied away from a challenge. Physically imposing, Trent stood 5'10" at 245 pounds and resembled a younger Mike Alstott in pads. He was strong as an ox, and I can distinctly remember busting a nosebleed in the squat rack during an offseason workout. He was genuine in is approach with people. You always knew where you stood with Trent. If he was your friend, he was your brother. There was no scale." In 2011, Trent developed oral cancer. After pursuing a number of treatment options, Trent passed in June of 2012. The WOD performed at the fundraiser is a symbol of who Trent was. Coach Derz said that the workout is "hard, it's heavy, and comparatively speaking, it's fast." CrossFit PHX has raised over $10,000 to date for the Oral Cancer Foundation. For the fourth year in a row, the fundraiser drew lots of friendly competition and was a huge success in raising money for the Oral Cancer Foundation. The CrossFit PHX community has every intention of continuing this event for years to come. Kilevrah Ca$h Drops Sick New Music Video: "Wolverine"
Christian Phyfier Further Expands The GPME Group Powerhouse: Toonchi.com Is Here!